§ Trainees are expected to attend the internal trainings and equip them for the project deployment. § They will have to complete the tasks assigned to them on priority. § Analyze and write test standards and proceedures. § Must have good communication skills. § Trained in ASP.net (webforms or MVC), C# and WCF. 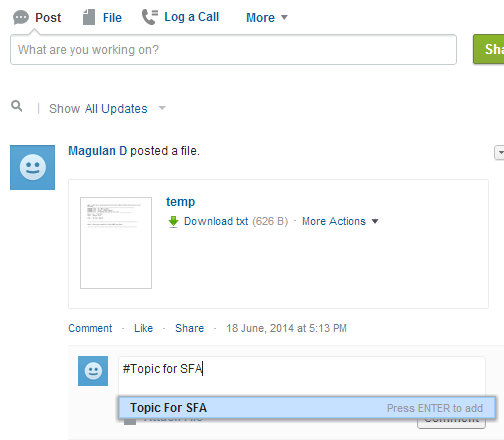 A content pack is a collection of related documents or files that are stored as a group in Salesforce CRM Content. For example, you may want to create a content pack with a product list, price quote, and contract to send to a particular customer. If Enable content pack creation is selected in Setup on the Customize | Salesforce CRM Content | Settings page. If content pack creation is disabled after packs have been created, Salesforce does not delete existing packs but they cannot be customized or modified. Wipro Ltd (NYSE:WIT) is a global information technology, consulting and outsourcing company with 145,000 employees serving over 900 clients in 60 countries. The company posted revenues of $6.9 billion for the financial year ended Mar 31, 2013. Wipro helps customers do business better by leveraging our industry-wide experience, deep technology expertise, comprehensive portfolio of services and vertically aligned business model. Our 55+ dedicated emerging technologies ‘Centers of Excellence’ enable us to harness the latest technology for delivering business capability to our clients. 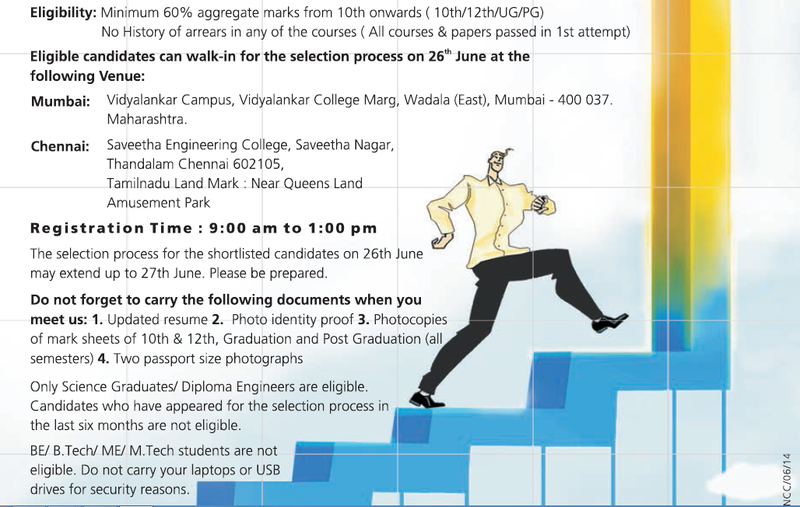 Candidates should possess any Bachelor’s Degree from any recognized university. Company Profile: Pangea3, a Thomson Reuters business, is the global leader in legal outsourcing services. Pangea3’s awards and industry recognition include: · Recognized as LPO of the Year for 2009, 2010, 2011, 2012 and 2013 by the India Business Law Journal · Recognized as Best Legal Process Outsourcing Provider 2011 by the New York Law Journal · #1 LPO in the Black Book of Outsourcing · Recipient of Excellence in Outsourcing award from Frost & Sullivan; and · Recognized as the best managed company by Inc. Magazine We are a high-growth, fast-paced, exciting group of lawyers, engineers, and business professionals working together to achieve excellence as a globally recognized legal services provider in the newest frontier of professional services outsourcing from India. Pangea3 provides contract drafting and management, corporate governance and due diligence, corporate secretarial and compliance risk management services, document review, legal research, business and competitive intelligence services, litigation support services, intellectual property and patent litigation services to leading American and European multinational companies. Job Description: · Working on volume hiring and being efficient with targets assigned by the Manager from time to time. · Sourcing candidates from various job portals, online networking sites as well as word of mouth. · Arranging and conducting initial interview screening rounds with candidates. · End to End recruitment from sourcing to on-boarding candidates and completing joining formalities. · Maintaining daily performance trackers. § We are looking for bright energetic candidates with Excellent communication skills. § Good analytical & problem solving skills. § Good observatory and QA skills. § Academic scores should be 70% and above. § Good understanding of quality assurance practices, test plans, test cases, OS and database. § Certification or Training in quality assurance is a plus. Job Description: Responsibilities may be quite diverse and are technical in nature. U. S. experience and education requirements will vary significantly depending on the unique needs of the job. 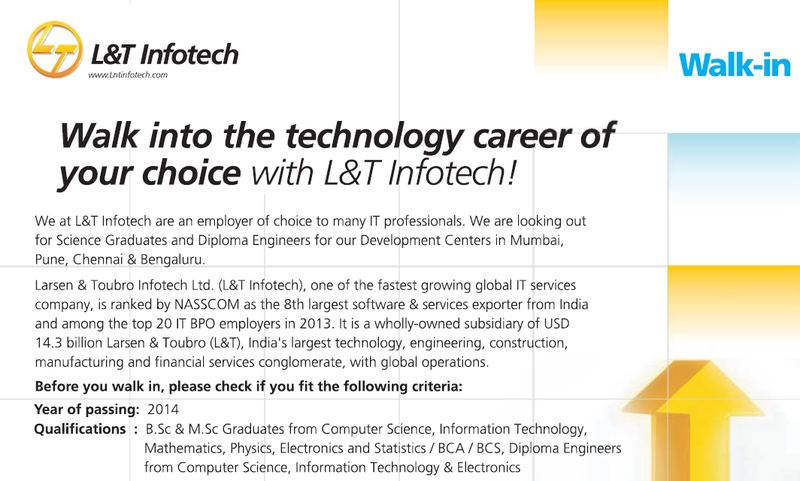 The candidate will be a B.Tech/M.Tech from a tier-1 university in India with a background in applied mathematics and electrical engineering. Business Group Intel Labs is the company's world-class, industry leading research organization, responsible for driving Intel's technology pipeline and creating new opportunities. The mission of Intel Labs is to deliver breakthrough technologies to fuel Intel's growth. This includes identifying and exploring compelling new technologies and high risk opportunities ahead of business unit investment and demonstrating first-to-market technologies and innovative new usages for computing technology. Intel Labs engages the leading thinkers in academia and industry in addition to partnering closely with Intel business units. Invalid external string name error in Salesforce occurs when the Custom Label is not created in Production or Sandbox where the code is getting deployed. Once the Custom Label is deployed first, then there will be on issues while deploying the classes. While deploying in Salesforce, Configuration components should be moved first and then the Non-Configuration components should be moved. 1. Go to Customize --> Opportunities --> Similar Opportunities. 2. Enable Similar Opportunities and Save. 3. Add the Similar Opportunities related list. 4. Click "Find" button to find Similar Opportunities. 5. Select the Opportunities and click "Bookmark" button. 6. Go to the record to view it. How to fetch all workflows using Apache ANT tool from Salesforce? A workflow file is a container for the individual workflow components associated with an object, including WorkflowAlert, WorkflowFieldUpdate, WorkflowOutboundMessage, WorkflowRule, and WorkflowTask. How to fetch all Field Updates using Apache Ant tool from Salesforce organization? 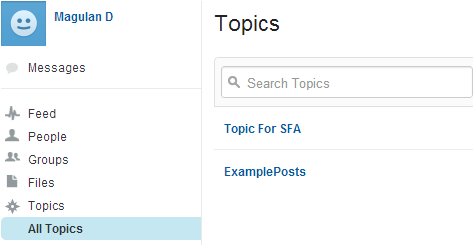 Add topics to posts and comments to organize them or to increase their visibility. 1. Type "#" and followed by it enter the topic. 2. Click on the topic to view its related posts. 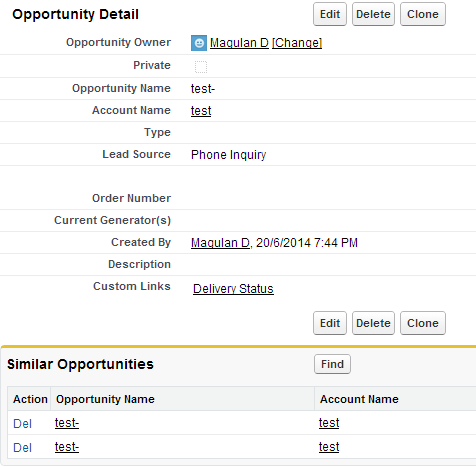 Name field in Salesforce is the first field which gets created while creating a custom object. The length of the text cannot be more than 80 characters. The label of this field can be modified. But the field name/ API name cannot be changed. 1. 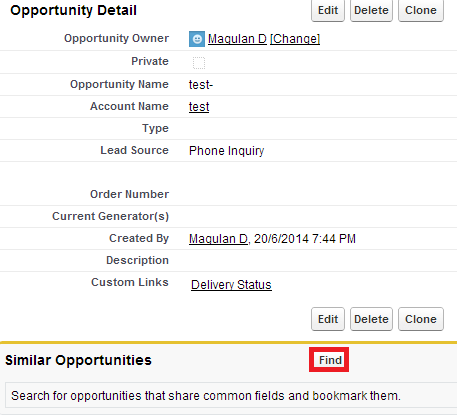 Open a lead and click "Find Duplicates" button. 2. 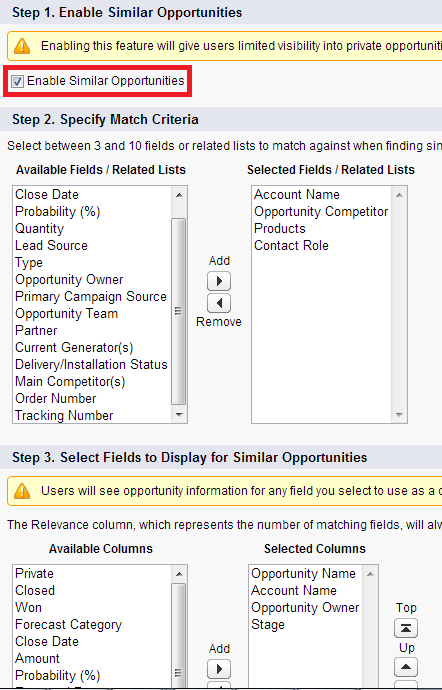 Matching leads related list shows the related leads. 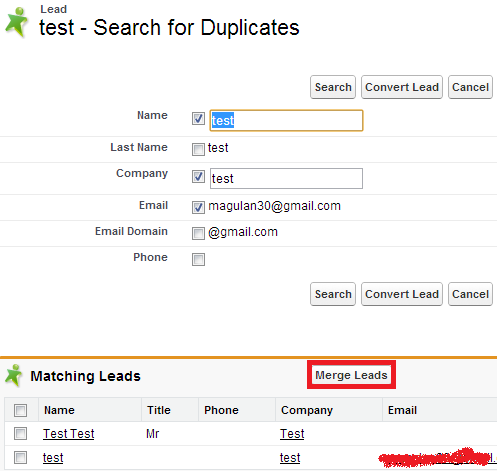 Click "Merge" button after selecting the leads to merge. 3. Select the appropriate fields and click "Merge" button. 1. You can merge only up to 3 leads. 2. The user needs "Delete" permission to use this button. SAP is the global market leader for business software and thus contributes a considerable part of the world's economic power grid. At SAP you get your chance to put your ideas into action with maximum impact. Financial Services is one of the strategic growth markets for SAP. Our ambition is to grow even faster than SAP over next few years. Banks and Insurances manage vast amount of ‘Business Data'. All kinds of data management like integration, alignment, aggregation and reporting on top of the data have become mission critical for our clients and are comparative differentiators. With the Finance and Risk Data Platform based on SAP HANA, we offer an infrastructure to the Financial service Industry that can serve as a single source of truth for all analytical data management requirements they have. With Liquidity Risk Management for Banks, we offer a HANA built application that leverages our Finance and Risk Data Platform. This application solves the regulatory requirements Bank have with regards to new standard of Liquidity risk reporting. • Responsible for development and testing of complex components of a project Module. 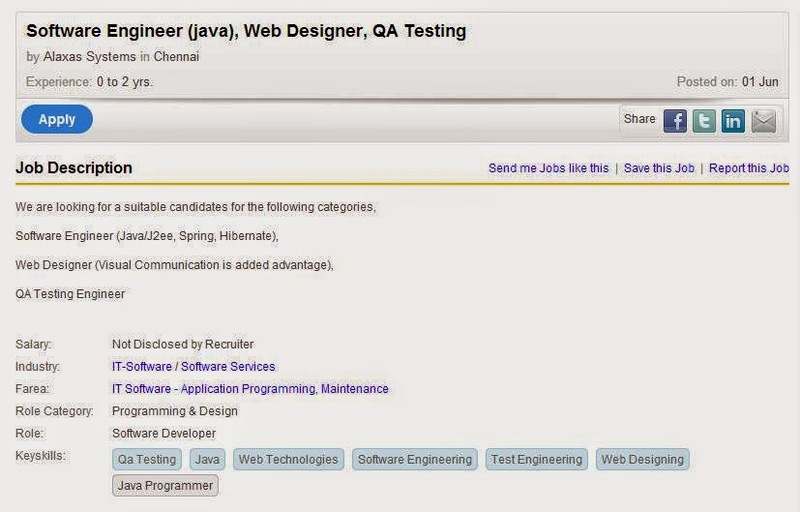 • Work as a developer in agile development team according to SCRUM • Shows strong customer focus • Closely co-operate with other development teams and product owners • Be interested in extending knowledge in related business processes • Be interested in new technologies like Odata, HANA • Be self-motivated, team player, quick learner and willing to go beyond expectation to Deliver high quality product. 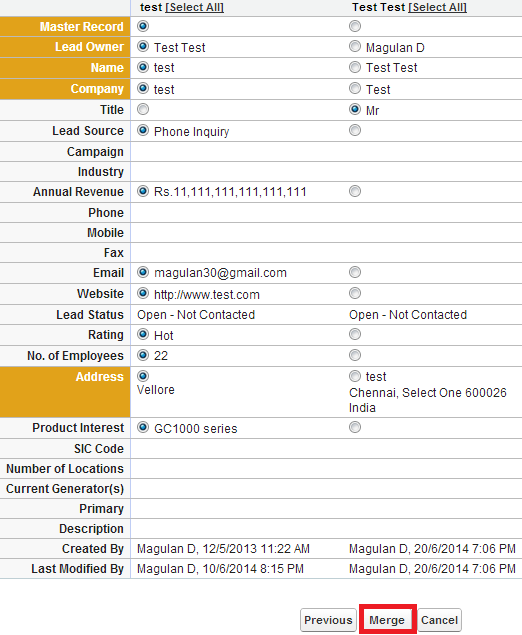 • Responsibility for the execution, and reporting of automated tests using QTP/Selenium. 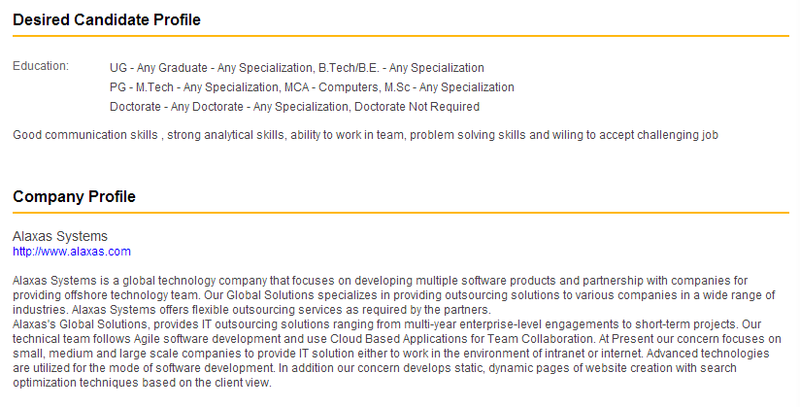 • Working experience with web based applications. • Willing to work as an Individual contributor. · Strong personal interaction and people management skills. How to stop Ant's task in Salesforce? How to find the deployment status in Salesforce? How to view Force.com IDE log? How to escalate cases using Apex in Salesforce?